Anyone can start an e-commerce marketplace and let vendors list their products, but what after that? However, as the technology is moving, a product or a service popular today can easily become redundant in the near future. Why will people want to come to your e-commerce marketplace year after year? The job of an e-commerce marketplace owner does not stop after seeing few products getting sold. To ensure a steady supply of buyers, you need to future-proof your marketplace because if you do not, your competitors will overrun your business and you will not be able to satisfy the growing demands of experience-hungry buyers. To keep your ecommerce marketplace advancing with changing times, it is recommended for you to know about cutting-edge technologies like machine learning. 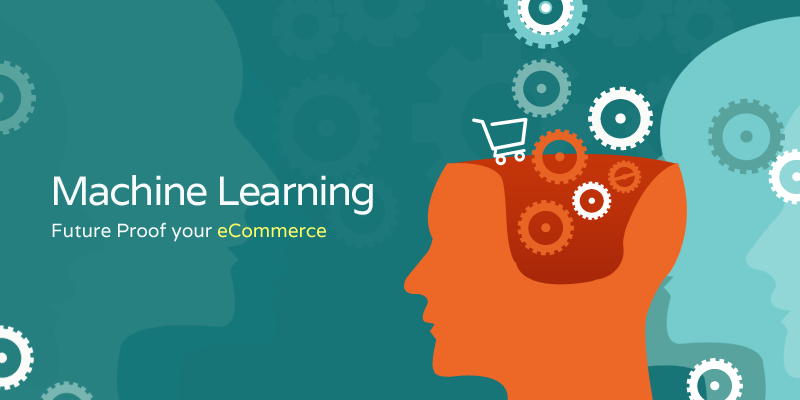 This post talks about several areas where machine learning can help in redefining future of ecommerce sector. Small and big e-commerce portals alike are already using product recommendations based on search and buying history. Amazon and Google are pushing the limits of machine learning to recommend the most relevant products, which is personalized for each user. The personalized recommendations are made on the basis of data collected on each customer. Needless to say that using such technology requires superior data collection techniques. Creating customer segments is essential to maximize the reach of your ecommerce store. Customer segmentation analysis, in most cases, is based on age, gender, demographics and more but, it is important to consider various other indicators as well. Machine learning can help e-commerce marketplaces to uncover new customer segments with similar behavior. When new patterns are discovered among customers or potential customers, you will run your e-commerce marketplace in a more profitable way. Machine learning based customer segmentation adds value to the marketing effort as implementing such complex models is not possible without the help of fast and efficient algorithms. Answering queries of buyers and sellers in real-time requires an e-commerce marketplace to hire a team that can provide support around the clock. Machine learning based solutions, such as chatbots, can prove to be a good return on investment as they can answer the questions of buyers and sellers instantly. By integrating this solution with marketplace’s knowledge base, chatbots can instantly answer questions like the status of delivery and refund. Examples of machine learning driven smart assistants include Apple’s Siri, Google Assistant, and Amazon Echo. Also Read: How to Connect with Vendors for Your Ecommerce Store? E-commerce marketplaces get spam orders across the board and are prone to online frauds. No technology is completely secure and this is why it is important to take preventive measures. Machine learning technique can be used to fight online fraud. With machine learning, the algorithms can learn from the knowledge base as well as observe patterns to figure out the probability of fraud. Since machine learning involves constant learning, the algorithms can be programmed to optimize its accuracy. Most e-commerce marketplaces spend a lot of money on acquiring new customers, but they fail to understand that retaining old customers can be highly profitable and economical. Excessive churn rate can make an owner take drastic steps that can prove catastrophic for the health of the marketplace. Traditionally, all one can do to lower the churn rate is to initiate different marketing campaigns, establish the reasons behind high churn rate and tackle them accordingly. Whereas machine learning can be used handle problem of higher churn rate with performance comparison, testing different algorithms, and more. Also Read:How to influence consumer’s purchase decision in favor of your online store? Why spend hours in reviewing monthly, quarterly and yearly sales to estimate the growing demand? Getting the right demand estimates is vital for an e-commerce business as it is important to know if your marketplace has limited stock or in bulk. In both cases, the owner suffers a financial loss. Demand and supply go hand in hand, but foreseeing the growing demand can only be done with machine learning algorithms. Not just demand, machine learning can be used for delivery route optimization, orders grouping, warehouse space optimization, and more. Calculating customer lifetime value is an important aspect of business strategy, which helps one to concentrate efforts on people who spend more on their marketplace. It can be a daunting task, especially in e-commerce as there are many influencing factors. The customer’s lifetime value can change in an instant and machine learning algorithms can keep track of the changes, allowing one to acquire the right segment of the customers. 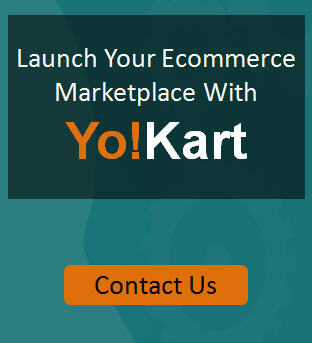 Migrate to YoKart and see the difference yourself! Technological change can be a nightmare for an e-commerce marketplace. However, not keeping up with times can slow its growth. Implementing the above-mentioned machine learning techniques in your eCommerce marketplace is essential to withstand the forces of time and run a sustainable business. Doing so will enable your e-commerce marketplace to not only grow, but also help safeguard your business against competition.